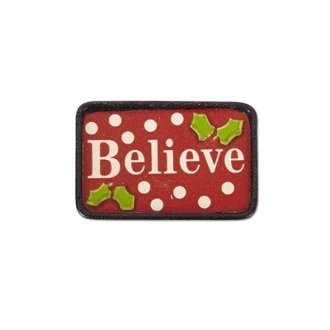 BELIEVE Holiday Door Mat for Miniature Fairy Gypsy Gardens. This adorable mat helps you decorate your mini garden for the holidays. How can the maker of MatMates pass up an opportunity to make a mini holiday door mat?